As a freshman, arriving on a large university campus is always intimidating. While a few U.S. high schools have over 4,000 students (for example, Brooklyn Tech in New York City), according to the National Center for Educational Statistics, most U.S. high schools have under 1,000 students. This is not the case at the postsecondary level. Once students move on to higher education, they generally find themselves on campuses with several thousands of students, and the transition can be difficult. This is a challenge that Princeton University is now attempting to address with an innovative adoption of Portfolium. Portfolium, founded in San Diego in 2014, is an educational technology company best known for its electronic portfolio platform. Specifically, the platform was designed to help graduates share their portfolios with potential employers and ease the transition from college to full-time work. Now, at least one university, is attempting to use Portfolium to connect its own student body on campus. In late August, the Office of the Dean of Undergraduate Students at Princeton University announced a partnership with Portfolium that will effectively enable the university’s undergraduates to create online co-curricular and extracurricular profiles to be shared with the university community. 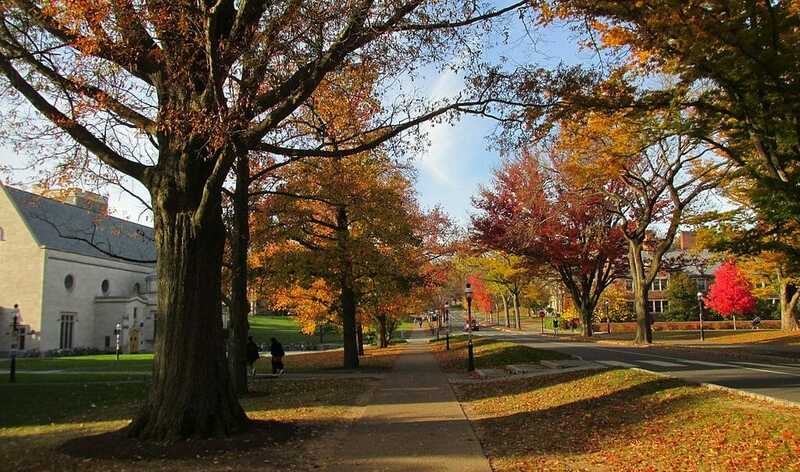 Princeton is currently home to over 5,000 undergraduate students. Princeton’s decision to use Portfolium as an on-campus versus off-campus social networking platform is somewhat unique. However, after careful consideration of other options, the platform was considered the best way to build a closed networking device for Princeton’s undergraduates who have long expressed a desire to have access to such a platform. As Deputy Dean of Undergraduate Students Thomas Dunne told the The Daily Princetonian, “One of the best parts of Princeton is that there is a robust network as an undergraduate [and as] an alum. However, there is no organized way of knowing [all the people on campus].” Dean Dunne hopes that with the roll out of the new platform, Princeton’s students will finally be able to connect with each other more easily. Pinciaro hopes that as Portfolium is increasingly adopted by Princeton’s more than 5,000 undergraduates, a wider range of students will have an opportunity to connect. “We’re interested in leadership,” says Pinciaro, but she notes, “We also recognize that leadership is not just about a title.” With Portfolium, the Office of the Dean of Undergraduate Students is hopeful that students who don’t have official titles–for example, those who are not currently the president of vice-president of a on-campus club–will be able to shine more easily among Princeton’s already highly accomplished undergraduate student body. Princeton’s Office of the Dean of Undergraduate Students is currently monitoring how students are adopting and the new platform in order measure its impact on student engagement beyond the classroom. Presumably, Portfolium is also closely watching the Princeton experiment. If the experiment works, it seems likely that the company may soon add on-campus social networking to the list of student success applications its platform already supports.